South Indian Super Stars are wishing Taxiwala for its grand release. “Taxiwala” is all set to hit the big screens tomorrow. Irrespective of what had happened to the film, expectations are at the apex for this film. Telugu audience all over the world is supporting this film. South Indian film stars are sending their wishes through their official social media handlings. A lot of hardwork was put in by the team.. So please watch the movie in theatres only and say no to piracy! 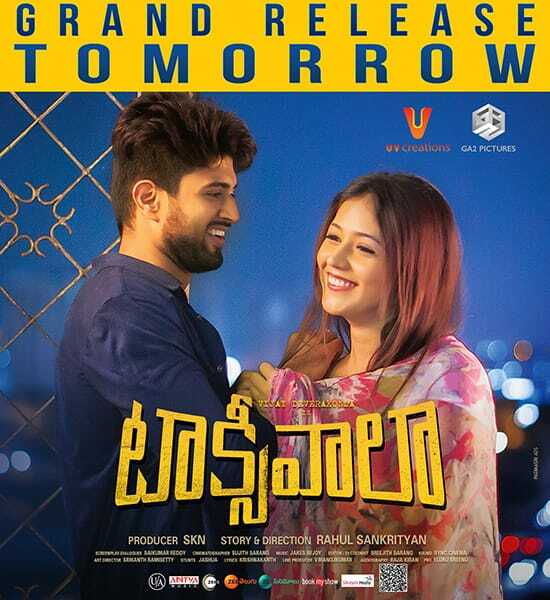 Wishing my dear friend @SKNonline, @TheDeverakonda bro, Rahul & the whole team of Taxiwala all the best for tomorrow. I've seen how passionate all of you were abt this film from the beginning & wish it becomes a huge success. Every film is a hard work of hundreds of passionate people and we all work hard to give the best entertainment to you. Please watch the films in theatres..